Standing at the 11th hour of the budget – a constitutional obligation – the news of death of E. Ahmed – Parliament MP, created some turmoil as politicians came up with split views of budget presentation. Some said that the budget should be delayed while the others stuck with the date stating that the budget is a constitutional obligation and that its sanctity should be maintained under all circumstances. With an approval nod for presenting the budget as scheduled, Speaker Sumitra Mahajan started off the Lok Sabha session by expressing grief on death of the honorable MP. Mahajan stated that despite the fact that Ahmed was on duty when he collapsed in parliament and took his last breath, session will continue as usual and in order to honor the deceased MP, parliament will remain closed on February 2, 2017. Finance Minister opened the Union Budget 2017-2018 speech at 11:10 AM. Jaitley opened his speech by saying that decision making can be ruled by objectivity and not favoritism. Formal economy can be restored and informal can be killed. Double figure inflation rate can be pulled down and that black money problem can be fought. Jaitley stated that now the citizens of India actually look upon the Union Government as the custodian of their hard-earned money and all this is possible because the base of the current government is in good governance. He stated the people have come up with expectations. They have raised the issues of high inflation. They are worried about corruption and they are very skeptical about crony capitalism. The target of the government will be to make the youth strong so that they can enjoy the benefits that come economic growth and employment boost. He said that in 2017, several emerging economies will recover. Foreign Institutional Investments have seen a growth. It currently stands at 1.45 lakh crores, up from 1.07 lakh crores. India has stolen the 6th spot in world in the race of largest manufacturers across the globe. Public investments will not be reduced but fiscal consolidation will be maintained. RBI mandated CPI inflation rate of 2%-6% will continue in the range. According to estimates of IMF or International Monetary Fund, the GDP of the world as a whole will grow by 3.4% in year 2017. India’s Current Account Deficit has reduced significantly. Last year it was at 1% of national GDP whereas, by FY 2016-2017’s first half, the deficit came down to 0.3% of Gross Domestic Product. Emerging economies will continue recovery in 2017 and India will continue to stay as world’s brightest spot and serve as global growth engine. Quoting Mahatma Gandhi, Jaitley stated that a cause which is right can never fail. Demonetization was necessary as people adopted tax evasion and a way of life. Demonetization will help to create cleaner and bigger GDP despite the fact that there are short term effects. The negative impacts of demonetization will not spill over into the coming year and economic growth will be restored. Increased spending in India’s rural sectors. Cutting off the idea of non-planned and planned resource allocation. Credit access will improve and cost of borrowing will go down because of increased liquidity with banks triggered by demonetization drive. Jaitley clearly stated that the current agenda of the government is to create a tech India, which will be cleaner and more energetic, compared to previous India. Jaitley stated that agriculture growth rate is expected to be 4.1% for 2017-2018 because of the better monsoons. Also, for the same FY, the Union Government will extend 10 lakh crores agricultural credit. Union Government will extend help to NABARD in the tune of INR 1,900 crores over a period of 3 years. The fund will go for the establishment of PACs. 63,000 functional PACs are targeted. There has been a momentum gain in soil health card issuance. Government will set up a micro-irrigation fund using INR 5,000 crores for NABARD. This will be initial corpus for facilitating micro irrigation in agricultural sector. In 2017-2018, 40% of cropped area will receive coverage under Fasal Bima Yojana. This percentage will increase in the next fiscal year (2018-2019) to 50%. Jaitley said that increase in farm productivity as well as income through creation of productive assets should be MNREGA’s target. He said that there has been an increase in MNGREGA’s allocation. The scheme has seen highest allocation ever at INR 48,000 crores. Women participation in MNREGA has gone up to 55%, which is way higher that it previously was. In 2011-2014, road works under PMGSY was at 73 KM roads per day. The rate increased to 133 KM roads per day in 2016-2017. Swachh Bharat that was launched in October of 2014 has led to increase in rural areas’ sanitation. At the beginning of Swachh Bharat, it was at 42% and now it stands at 60%. Pradhan Mantri Awaaz Yojana has seen increased allocation to INR 23,000 crore from INR 15,000 crores. KrishiVigyanKendras are laboratories for agricultural development in India. There are 648 such kendras but they are not sufficient enough. They do not have soil testing options. Minilabs will be set up through qualified local entrepreneurs. By 1st May, 2018, Government will achieve 100% electrification in all Indian villages. Learning to be measured yearly – that’s a proposal that Arun Jaitley gave in Budget, 2017. This will allow Indian youth to assess their skills. Also, quality education with special emphasis on science will get focus. Government will set up various skill centers all across India so that those people who looking for opportunities outside of the nation can use those centers to grab proper opportunities. SANKALP program received INR 4,000 crores budget allocation. This program will offer training to Indian youth. The training will be relevant to market. About 3.5 crore Indian youth will receive training under SANKALP program. By 2019, government aims at creating 10,000,000 houses, which will be made available to those who are homeless and those who currently live in kuccha houses. Villages which have open defecation problems will now get priority and water supply will be taken care of in those villages through pipelines. Under various government ministers that work for welfare of children and women in the country, budget allocation has been improved and now it stands at INR 184,632 crores. By 2025, government has targeted complete elimination of TB or Tuberculosis. Gujarat and Jharkhand will get two new AIIMs hospitals. University Grants Commission will be restructured. Swachh railways will get some focus. Government may issue separate trains for tourism and pilgrimage. Railway stations that are friendly for disabled people and railway stations which are powered by solar power will get focus as there is a budget allocation of INR 1.3 lakh crores. Railways get INR 55000 crores out of national budget. An INR 100,000 crore fund will be put together in 5-year period, which will work as a safety fund for Railways. For expenditures of development and capital, Indian Railways gets INR 1.31 lakh crores out of the Union Budget. E-ticket booking through IRCTC portal will mean exemption of service tax. Employment opportunities for Indian youth will increase as the government will adopt new policy for metro rail. FY 2017-2018 will be a boon for some stations in India. Government will select 25 stations for awards. 500 stations across India have been identified, which will be given a facelift in form of escalators as well as lifts to make them friendly for disabled people. Bio-toilets will be installed on all railway coaches by end of 2019. End-to-end transport solutions are on their way. This will be integrated in Railways and will be made available only for selected commodities for now. INR 396,135 crores have been allocated for infrastructure investments. Highest so far in any budget. 10,000 crores have been allocated for Bharat Net Project and transport sector received INR 2.41 lakh crore allocation. 52,393 crores allocated for SCs as against INR 38,833 crores previously allocated. Measles to be eliminated by 2020. Leprosy to be eliminated by 2018. Filariasis and Kala Azar to be eliminated by 2017. When it comes to greenfield enterprise set up, women and Dalit will get priority. For merchants who do not have mobile phones and mobile phones, Aadhaar-enabled payment will come in shortly. Government will introduce two new schemes for promoting the UPI app BHIM, which has been adopted by 125 lakh Indians so far. Competition, social obligation and cost will be the deciding factors when it comes to determining railway tariffs. IRCTC and ICRON will get listed on stock exchanges. Eight Haryana districts and Chandigarh have become Kerosene-free. PPP-mode based development and operations will take place in airports of selected cities categorized as Tier II. Government will formulate a new law, which will give the government the power to seize and confiscate properties of those people who are economic offenders and instead of facing law and justice in India, decide to flee the nation. Imports of 12 months will be covered by country’s Forex reserves. Head Post Offices will be commissioned to provide passport services. This will be particularly good for those people who need to travel far to get hold of passport services. Total budget expenditure for FY 2017-2018 stands at INR 21.47 lakh crores. Defense gets a budget allocation of INR 2.74 lakh crores. This excludes the payments for pensions. 2% fiscal deficit has been targeted for 2017-2018. National Highways will see increased spending to INR 64,000 crores from INR 57,676 crores. UTs and States with legislatures will have INR 4.11 lakh crores transferred to them. Coastal Economic Zones will see accelerated development because development of 2000 kms of coastal roads. Jaitley said that majority of Indians evade taxes and this is possible because the economy is largely cash-based economy. It is because of this problem; honest taxpayers need to take most of the burden. 7 crore individuals filed ITR. 99 lakh individuals do not come under tax slabs. They don’t need to pay taxes. 26 lakh people are there who have yearly income of INR 50 lakhs. In the domains of personal income tax, advanced tax has ramped up to 34.8% after demonetization. 56 lakh people out of 76 lakh people, who have reported INR 5 lakh + of annual income are salaried people. In 2015-2015, tax revenues increased by 17%. MSMEs will be strengthened by 25% reduction in tax rates for those companies, which have 50 crores+ of annual turnover. LNG will experience reduction in Basic Customs Duty. Reduced rate will be 2.5%, current rate is 5%. Cash transactions above 3 lakhs will not be permitted. Government receipts might be accepted only through e-mode after a particular threshold for cash payments have been achieved. This idea is currently under process. Any one source cannot give any more than INR 2000 of cash donation. For donations above that, digital mode or checks should be used. Donor can also purchase electoral bonds only and only from banks authorized to sell those bonds. Such bonds can be redeemed only in the accounts of the parties to whom the donor wants to donate to. Negotiable Instruments Acts can be amended so that those who hold dishonored checks can get payments. Income tax rate slashed from 10% to 5% for those individuals who have annual income between INR 2.5 lakhs and INR 5 lakhs. People with annual income of INR 50 lakhs to 1 crore will have to pay surcharge of 10%. People with annual income of INR 1 crores + will have to continue paying surcharge of 15%. People who fall in 50 lakh tax bracket will enjoy tax rebate of INR 12,500. People who have taxable income below 5 lakhs will now have to fill only 1-page long ITR form. That’s pretty much all the highlights of Union Budget 2017-2018. After concluding the budget speech, Arun Jaitley introduced Finance Bill in the lower house of the parliament. The house was adjourned after that. As of now, no further updates are available on the current budget. Once more clarity is attained, we will provide further details for the same. Increase in the tax exemption slab. Increasing deduction limits on investments (section 80C of Income Tax Act). Simplification of tax structure for corporates, providing the MSMEs with much-needed relief. MSMEs stand for Micro, Small and Medium Enterprises. Experts think that the budget will give a big push to the agrarian sector of the economy. Only in 2016-2017 union budget, agricultural budget was increased from 15,809 crores to 35,984 crores – more than double increase. This came in light of PM Modi’s announcement that by 2022, the government wants to achieve doubling of nation’s farm income. The previous budget aimed for digitizing agricultural market mandis by 2018. There are 585 such mandis. It is expected that this budget (that is union budget 2017-2018) will also come up with some measures to strengthen the agrarian sector of the nation. Possibly, incentives for the farmers will be increased to give them the necessary push for increasing farm produce. Increase in tax revenues because of better accounting through cashless economy. Reduction in cost of monetary notes printing and transportation. More rebates and benefits for using digital payments. Introduce charges on cash deposits and cash payments. Make PAN mandatory for cash transactions and cash deposits of up to INR 30,000. The existing limit is INR 50,000. Charges for handling cash while making payments for government services using cash. Cash may be allowed only to a certain limit and beyond that, government will charge more money. More cashbacks and rebates on using digital payment platforms like Paytm, etc. to incentivize the consumers for paying bills etc. using digital means. India Stack – a source or warehouse of open APIs that are all meant for improving and increasing the digital infrastructure of the nation – launched by Government of India has received widespread praises. For instance, Bill Gates of Microsoft and Sundar Pichai or Google has called India Stack as one of the most cutting-edge systems in this entire world. Staying in tune with idea of India Stack, government may also include various incentives for developing and improving the software ecosystem of India, which lags behind the developed nations of the world. Demonetization did have a negative impact as the Economic Survey of year 2016-2017 says that the GDP of the nation slipped down by 0.25-0.5 percent. This is however a temporary setback and the economy is gradually clawing back up to its normal state. 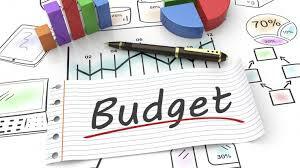 Government will definitely try to expedite the growth of economy through this budget. Experts are thinking that government will focus on creating more jobs in sectors which are labor intensive. Such sectors include MSMEs, infrastructure like roads, low-cost housing etc. Government may increase spending in these segments to create more jobs and hence, attempt to boost private consumption. This will, in turn, boost the business segments of the country. For salaried homebuyers, HRA deduction limits may be increased. Tax slabs may be redefined (that is taxes reduced to promote real estate purchase). Fiscal consolidation and maintaining Fiscal Deficit at 3% of nation’s GDP as laid down by FRBM Act (Fiscal Responsibility and Budget Management Act) may be a serious problem as demonetization will require increased government spending. Again, if the fiscal deficit is allowed to exceed 3.3% of nation’s GDP, government spending can actually spiral out of the control. Making things worse, the increase in prices of oil is making it difficult for finance ministry as excise duty hike may not work. This will put strain on government budget. So, the government may actually go for fiscal consolidation and fiscal deficit maintenance and at the same time, try to increase revenues from tax sources as well as non-tax sources such PSU stake sales.